Warsaw, the capital of Poland offers a multitude of exceptional sights, historical buildings and fascinating experiences to those who choose the city as their travel destination. The city is magnificent, the people are friendly and the prices are not that high. 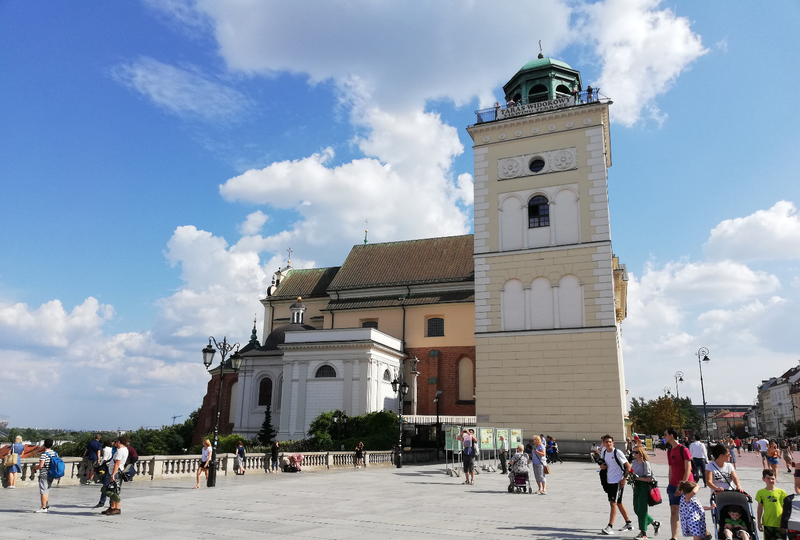 If you’re interested in learning more about this historical city in the heart of Poland, be sure to continue reading this 6toplists article. The main language spoken in Warsaw is Polish, but most people speak English at least to some extent. However, you might encounter a few older Polish cashier ladies who only speak their native language. In this case, sign language or universal hand signals might be your best option. The main currencies used in Warsaw are Złoty and Groszy. 100 Groszy = 1 Złoty (PLN) = around 4 Euros, depending on the exchange office you choose and the rate you get. At the time of my visit, it was a safe bet to simply divide the Złoty price by four to get an estimate price in Euros. Click here to see the current exchange rate of Euro to Złoty. The most budget friendly way of getting from point A to point B in Warsaw is public transportation. You can get anywhere in the city using GPS and the city bus and tram lines. Depending on how much you intent on staying in Warsaw, you can choose a 3-day or a weekend ticket. Here is a list of tickets that can be bought at any ticket (bilety) sale point or machine. Now that we have got some basic stuff about Warsaw out of the way, we can start talking about the best and most interesting places that should be experienced in the capital of Poland. The city offers various activities for younger and older audiences alike and everybody is able to find something that they are going to enjoy. With that in mind, let’s take a look at our top6 list of things to do in Warsaw, Poland. Let’s start the list off with the largest park in Warsaw, Łazienki Park. It was originally designed back in the 17th century and it was intended to be used as a baths park for royalty. However, in the 18th century, it was turned into the park that it is today. Łazienki Park has a plethora of villas, statues and breathtaking scenery that visitors can enjoy. Throughout the park, you can see numerous magnificent buildings, such as the Palace on the Isle, the Myślewicki Palace, the Temple of Diana and many others too. 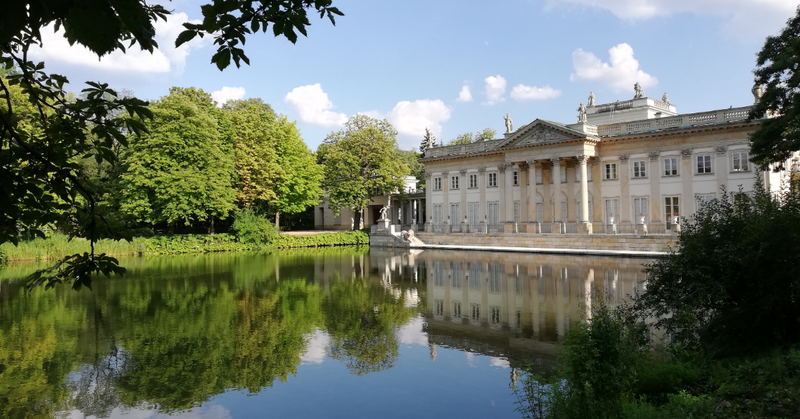 Visitors of Łazienki Park can also experience the beauty that this place holds from the water. At the Palace on the Isle, you can actually go on a water boat ride around the park for a small fee. In addition to the gorgeous scenery and greenery, the park also has other surprises for visitors. Throughout the park, you will find various cafes and restaurants where you can stop for a cold or hot drink. The park also hosts Season of Chopin Concerts every Sunday at 12.00 and 16.00 in 2018 from 13 May to 30 September. Also, don’t forget to bring some type of nuts or some vegetables with you, as there are many squirrels around the park that are brave enough to come close and actually eat from your hand. It’s not a rare sight to see squirrels and pigeons getting friendly with tourists and locals alike; the food is the only thing that matters to them. The next destination on our toplist is the famous Old Town of Warsaw. This is one of the oldest parts of the city, but it had to be renovated (like most of the city) after World War II. The Old Town has been inducted into UNESCO’s World Heritage Sites because of the outstanding reconstruction that has been done after most of it was destroyed in Warsaw’s bombing. Today, this is the tourist mecca of Warsaw, with thousands upon thousands of visitors going there every day. The main square is filled with restaurants and cafes where you can sit and relax after you are done exploring. The atmosphere of the Old Town is very pleasant, with street musicians doing their magic and horse carriages passing by. Regardless if you want to have a fancy lunch, some budget-friendly food, coffee or just a cocktail, you’ll find it in the Old Town. Visitors of the Old Town can also go up to the Observation Terrace, which is located on the main square. There is no elevator that takes you up, so you will have to use the stairs, but it is worth it if you want an amazing 360 degree view of the Old Town and the city of Warsaw. The entry to the top of the observation terrace was only 6 PLN, so this isn’t a costly activity either. Regardless of where you go in Warsaw, you are bound to see the Palace of Culture and Science one way or another. The first time I saw this building was through the window of a public bus. I immediately knew I had to take a closer look and I must say I wasn’t disappointed. This is the tallest building in Warsaw and it towers over the whole city with its magnificent glory. The Palace of Culture and Science in Warsaw was built in 1955 as a gift from the Soviet Union for the people of Poland. Today, the Palace of Culture and Science offers various fun activities to visitors. The building has cinemas, sports clubs, theaters, libraries, museums and much more. 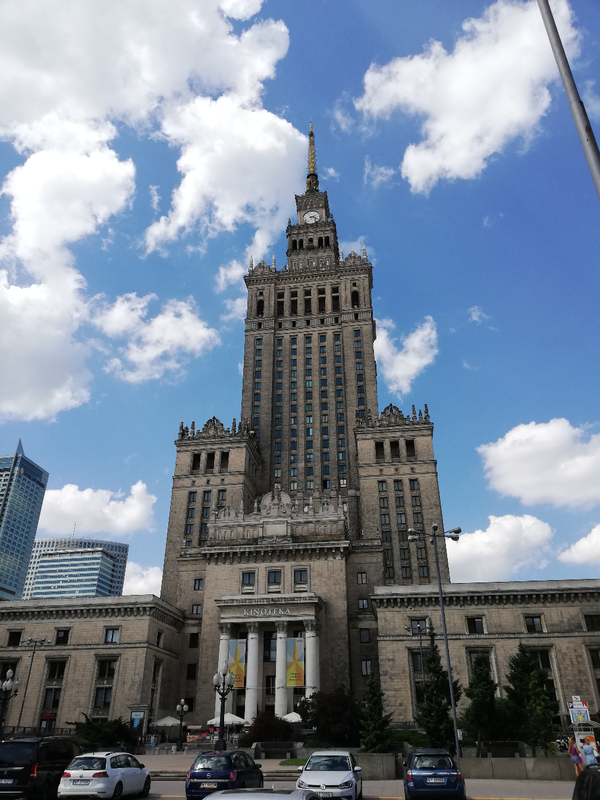 However, one of the main reasons why tourists and locals like visiting this building the most is because of its observation deck that allows visitors to take breathtaking photos of the capital of Poland. The Royal Castle in Warsaw was the residence of the former official Polish monarchs. Like most of the city, the Royal Castle has been destroyed during the bombing that happened in World War II. The castle was leveled to the ground, looted and burned by Nazi Germans in their invasion of Poland. After World War II, a mission to rebuild the castle was launched in which many locals volunteered to help. Their hard work paid off, as the Royal Castle in Warsaw, along with the Old Town was registered as a UNESCO World Heritage Suite. Today, the Royal Castle serves as a museum for tourists who wish to learn more about the history of the building, as well as those who want to see fantastic paintings, sculptures and furniture from another era. Each room has a different style, depending on what it was used for. Tourists can explore the castle for a small fee and learn more about the history through interactive panels, video presentations and audio guides. The castle is large and there’s a lot of walking to be done, so prepare yourself for an activity that will take up a couple of hours of your time. 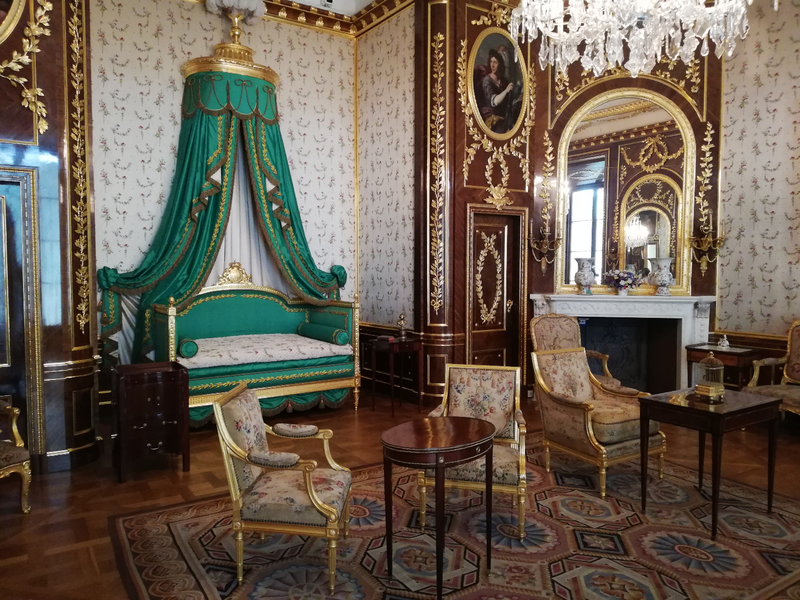 However, if you are a fan of breathtaking paintings, beautiful interior decoration or you just want to see how the Polish royalty used to live, the Royal Castle in Warsaw is a must see! I am sure that you want to have some fun after you’re finished exploring the wonders of the capital. And what better way to do this than having a crazy party at the rooftop of a huge building, on the 27th floor. That is exactly what the Level 27 Club is offering to their visitors. This isn’t the cheapest club you’ll find in Warsaw, but in my humble opinion it is worth it. And let’s not forget the amazing view that you can see of the city from the 27th floor. At the time of our visit, a DJ, a drummer and two singers made the party happen. There were around 10 security guards making sure everything was alright and they even escorted people who were too drunk out. The drinks are a bit on the expensive side, but you knew what you signed up for. You also have the ability to buy a whole bottle of booze that will be brought out to your table, or you just rent a hookah that you and your friends can enjoy. It is highly advised to check Level 27’s Facebook page for news about events, entry price, dress code and everything else that you would like to know. 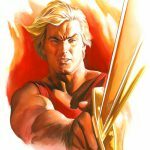 Click here to check out their Facebook page now! The last stop on our trip around Warsaw is the Uprising Museum that honors the deeds and events that happened during World War II. The museum is easily located and the entry ticket is only around 30 PLN. At the entrance, you can also purchase an audio guide, which is highly recommended because the layout of the museum is a bit confusing. The museum is full of uniforms, weapons, vehicles, personal belongings and propaganda posters from the time when Warsaw was being bombed. If you don’t purchase an audio book, you can still know what each exhibit is, as there are English subtitles and descriptions below every item that is displayed. 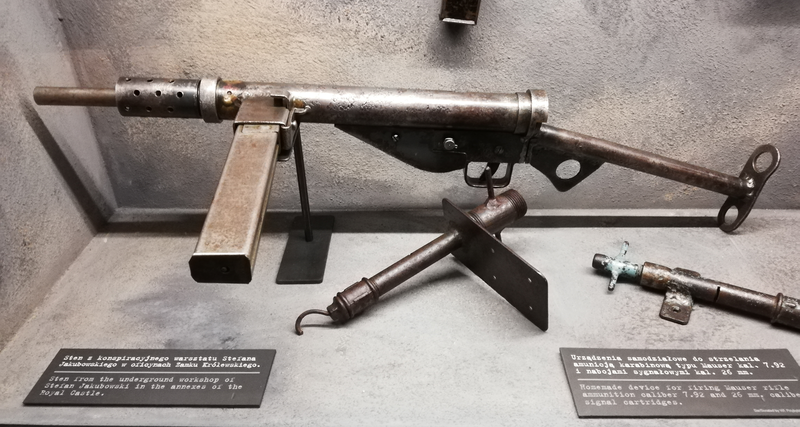 The Warsaw Uprising Museum is a great way to learn a bit of history about this city and the suffering that the Polish people had to go through. The museum also offers interactive panels that can teach you more about certain things that happened. At the end of the museum visit, you can also watch a 5 minute short movie about the aftermath of the Warsaw bombing. This movie is a great way to truly experience in what shape Warsaw was left and from what it was rebuilt to the glorious capital it is today.